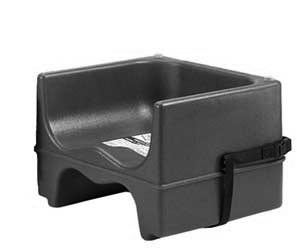 High sides, easy-to-clean, non-skid surface, and wide square bases and you have one of the safest booster seats available today. Contouring adds comfort to these durable, polyethylene seats. An added bonus: they nest for stacking to save you space.